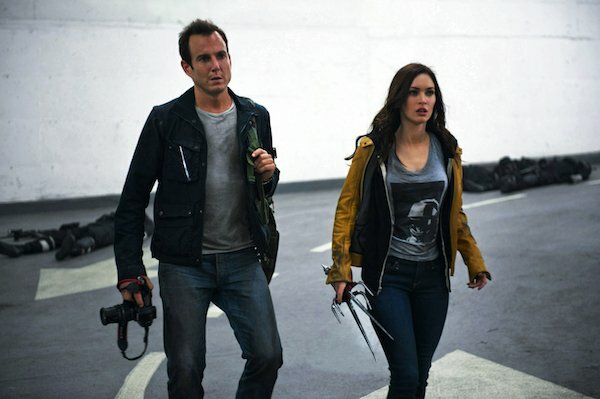 Dressed in April O'Neil's trademark yellow -- or a yellow jacket, anyway -- Megan Fox stares down at a table of weapons in the latest image from Jonathan Liebesman's Teenage Mutant Ninja Turtles. The new photo comes almost exactly three months ahead of the live-action film's anticipated arrival in theaters. Are those ninjato and sai among those weapons we're seeing? And based on the lighting situation, including what appears to be some light coming from above, and the dingy background, she might be in a basement or the swears somewhere. ...weapons in hand and bodies in the background! And it may be worth noting that April's dressed in the exact same outfit here as she is in the new photo. Then again, it looks like we may be seeing a lot of that gray T-shirt in this movie, and I'm pretty sure she's in the yellow jacket in all of the scenes in the trailer. 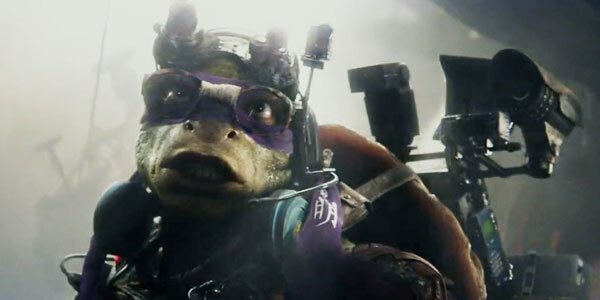 Boasting a cast that includes Alan Ritchson, Noel Fisher, Jeremy Howard, Pete Ploezek, Megan Fox, Will Arnett, William Fichter and Danny Woodburn, Teenage Mutant Ninja Turtles will have the four Ninjitsu-trained turtles -- Leonardo, Michelangelo, Donatello and Raphael -- and their sensei, Master Splinter, battling evil in New York. TMNT will arrive in theaters August 8. See where Teenage Mutant Ninja Turtles fell on Gabe's Summer Box Office Predictions list here.